These two southernmost islands in the Caribbean are packed with attractions catering to all kinds of visitor, whether an ecotourist, a history buff, a party-goer, an activity seeker or a beach lover. The carnival in Port of Spain, Trinidad, is an explosion of music, fun and dance to which everyone is invited but the town also has its Magnificent Seven buildings – colonial-style houses built during Spanish and British rule in the 17th and 18th centuries. Tobago’s history can be viewed at Fort King George, an impressively preserved British outpost. Both islands are a birdwatcher’s dream with rainforests, mangrove swamps and nature reserves giving shelter to a wide range of species. For the adventurous visitor, there are hiking and cycling trails throughout the islands taking in spectacular waterfalls and deserted bays and for divers, there are world-class sites and abundant marine life. Added to this the delicious street food and a laid-back lifestyle make both islands an unbeatable holiday destination. 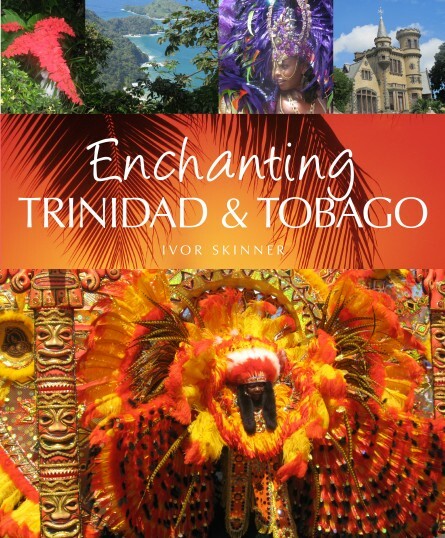 Enchanting Trinidad & Tobago provides a colourful introduction in words and photographs to these exciting islands. Ivor Skinner was born in Trinidad and obtained a degree in management and finance from New York University. His career in landscaping, design and construction has taken him all over the islands and provided a wealth of photographic opportunities.